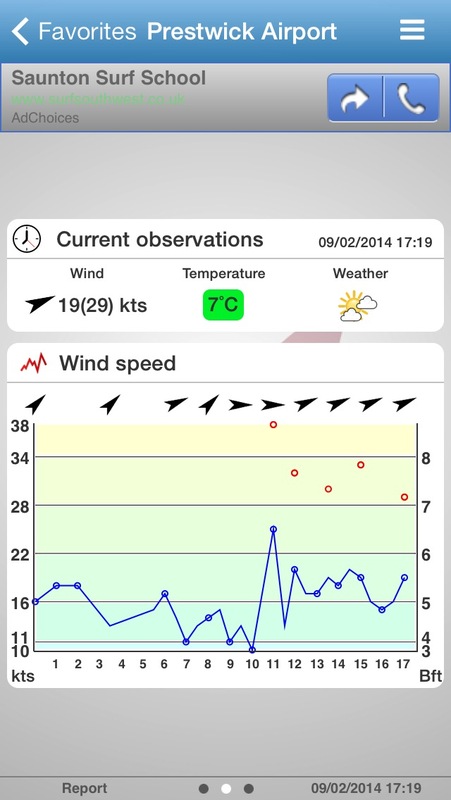 It doesn’t look windy but it was – well gusty windy blowing 18-35knots that is almost a doubling of wind speed. 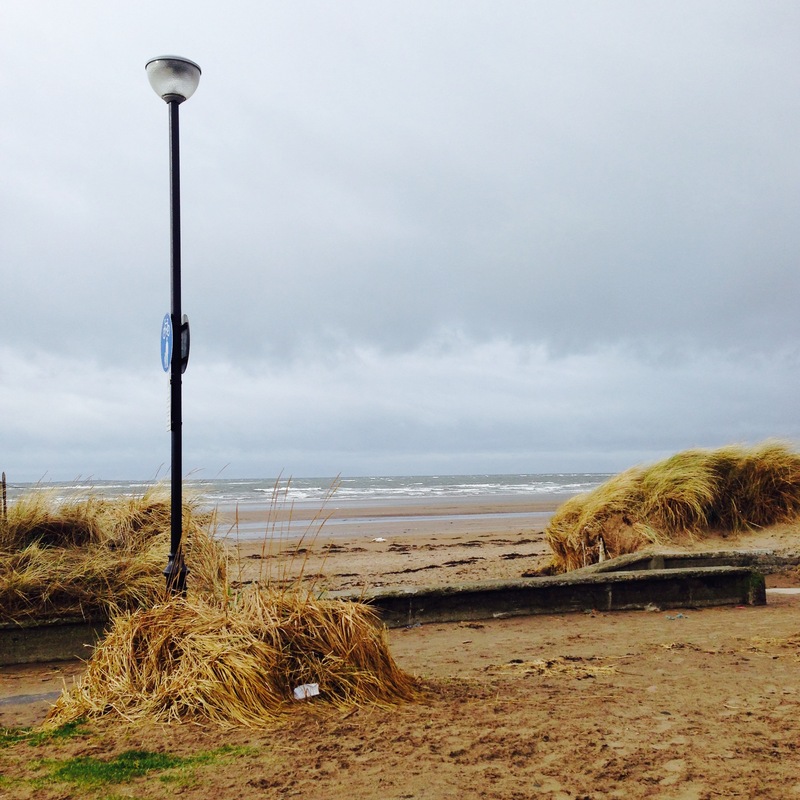 Nearby prestwick airport has a more sheltered and more stable reading 18-31. 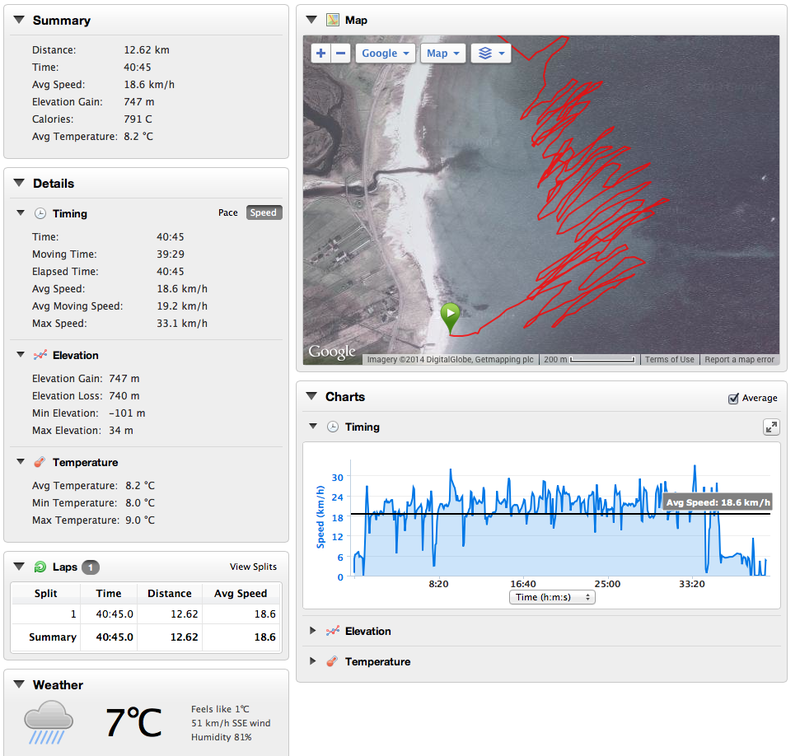 I went out fully gimped out on my 6m kite – having the remnants of a cold which didn’t last long as a few litres of sea water flushed neti style through my nostrils …. Nice. 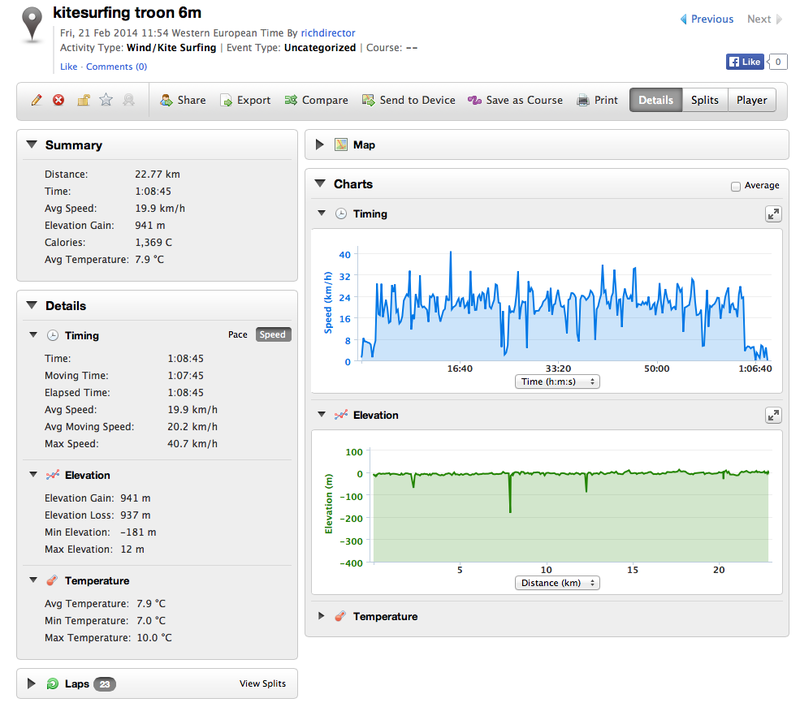 After an hour I was done in ….. February kiting sure makes you feel alive …. Whilst the rest of the country deals with flooding and storm damage (and I have sympathy for their plight) but we in Scotland make the most of the weather and so today was Kitesurfing day. 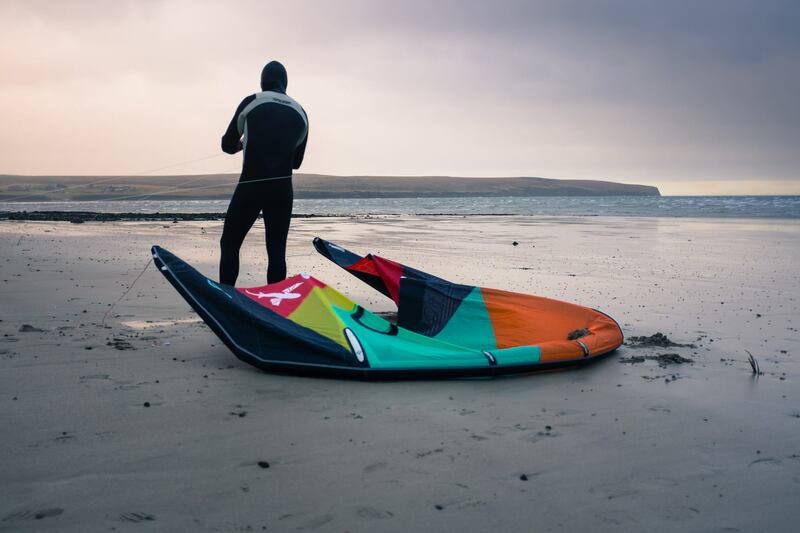 Initial plan was too leave early and get a session in before the rain came in at 1pm but the funny thing is that when the wind is westerly the island of Arran off the coast seems to deflect the worst of the weather especially when it is howling. Kites Best TS 8m and Best Cabo 6m – Got down later probably after 12 then rigged up. 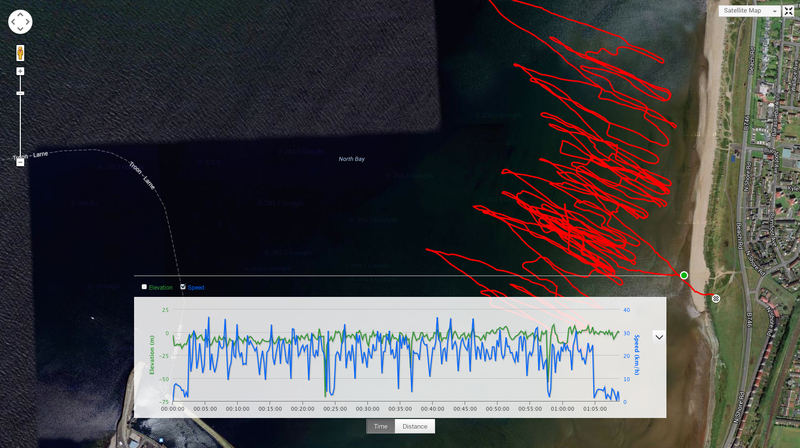 Firstly pumped up the 6m kite as it felt like a good 28-32 knots …. but then the wind lulled before i even left the grass so pumped up the 8m (now officially my big kite as i hate cruising on big kite days) and went down to the beach as the clouds passed sucking in even more wind in its tail … so ran back shoved the 8m in the car and out again on the 6m. 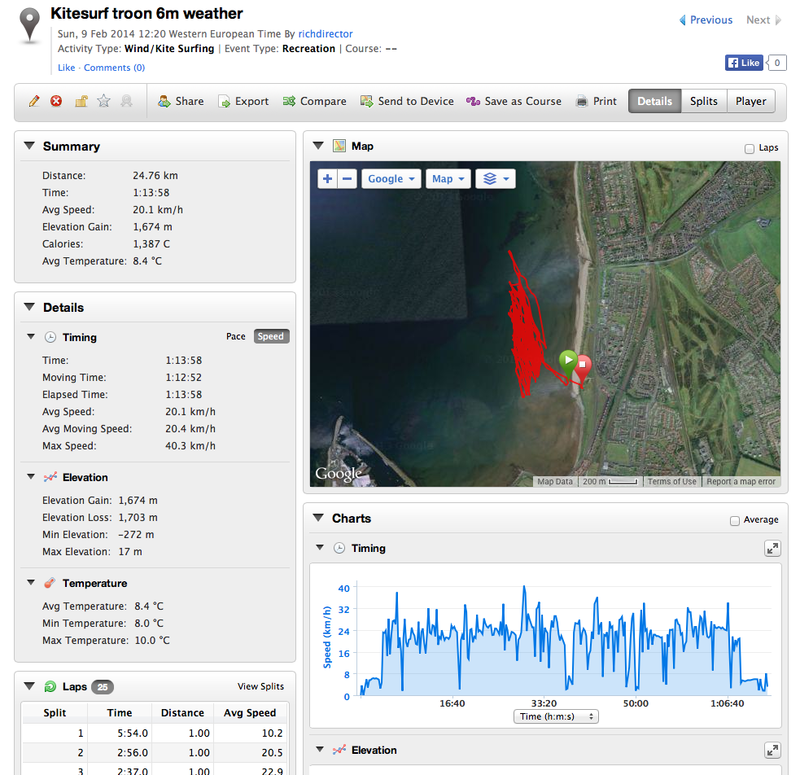 Wind was gusty but good you can see the stats here 18knots gusting 32 when I got on the water and then for the next hour was 17 gusting 28 …. 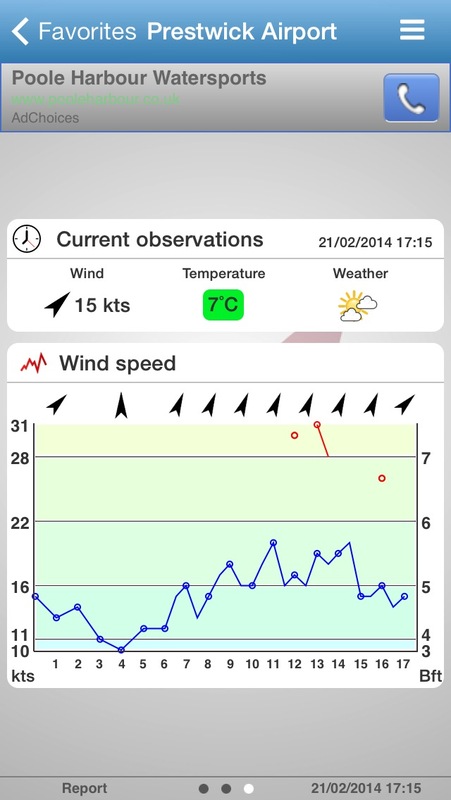 17 was a bit low for the 6m but in the gusts it was great. 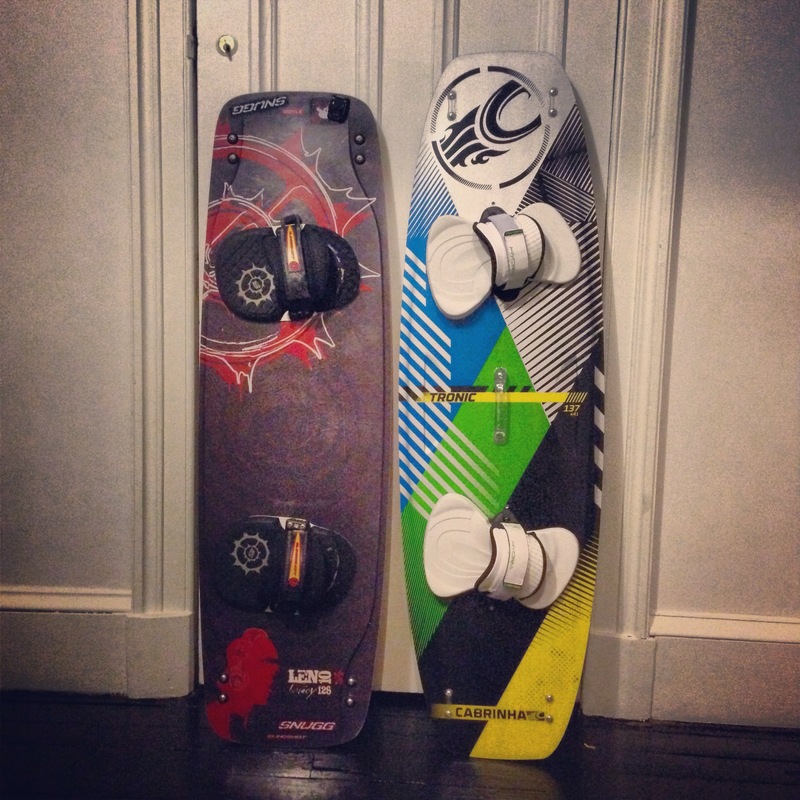 I took the new board down it is a Cabrinha Tronic 137 and it is amazing in the choppy conditions and with the bigger fins (than my last board) it kites a lot flatter so the spray is a bit cleaner and not one eyeful of spray into your eyes …. i love it straight off and the H1 pads and straps are fantastic so comfy. then it was back to Scotland and winter and i was up in Lewis (part of the outer Hebrides) for the New Year. The wind gods were present and we saw squall after winter squall arrive. So I did. Forecast was big so rigged up my new Best Cabo 6m kite (it is a 2013 model but discount made it a good buy) had to adjust the lines slightly and then i headed out. Temp wasn’t bad and with a great Snugg wetsuit, booties, gimp hood and gloves I was sorted. I came off the water boiling (although i only really wiped out twice. The inside of the wetsuit was practically dry. There would have been more photos but the driving rain kept the princess in the car ….. I just played in the waves down to the car park where she moved down to – but the kite was great at going back upwind too …..
We will soon see as i have my older GoPro 2 and a newer GoPro 3 Black edition with me …… some lighter winds but 4 days look good .. Ordered some new kites to go with the cheapie holiday I booked to Cape Verde. Realised it might be time as I came in Saturday with my Waroo 7m and realised it was from 2007 and a wee bit tired and jellyfishing with age …. If your sessions take in unhooked new school, freeride and even some wave riding then the TS is made for you. Built with our Double Core RS canopy fabric the TS v2 delivers amazing crossover performance with the focus firmly on new school and unhooked performance. The 5m and 6m TS sizes are the perfect high wind kites. Their Ride Optimized open-c platform delivers rock solid stability, predictable handling and broad sweet spot to help you conquer any conditions. 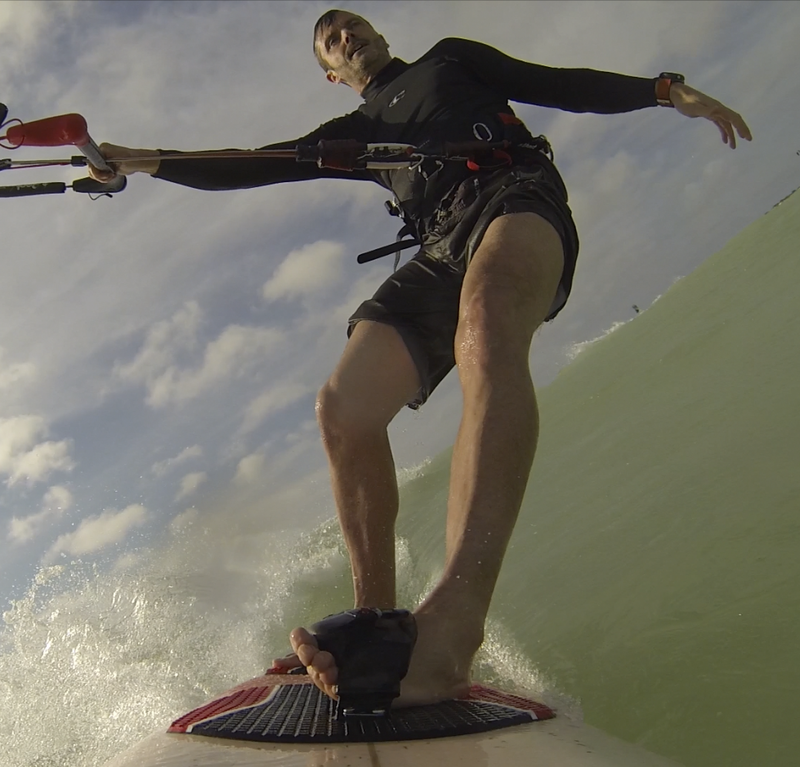 The 7m – 12m sizes let you express your style in the air and on any wave. 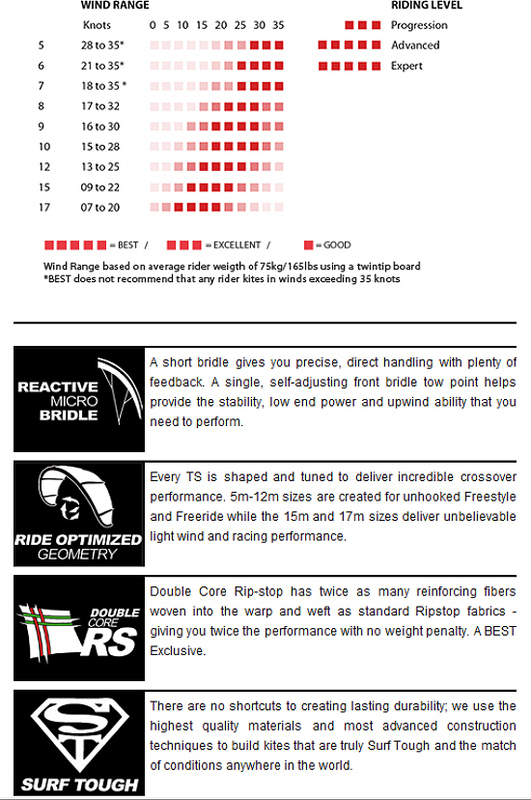 Responsive unhooked steering, light bar feel and great jumping ability ensure the TS remains the favorite sizes for new school riding- it’s the most versatile SLE kite in our 2013 line-up. For light wind riding and racing, the 15m and 17m TS kites are the most aerodynamically refined and popular light wind kites we’ve ever made. The largest TS sizes will keep you riding after everyone else has packed up for the day. A short bridle gives you precise, direct handling with plenty of feedback. 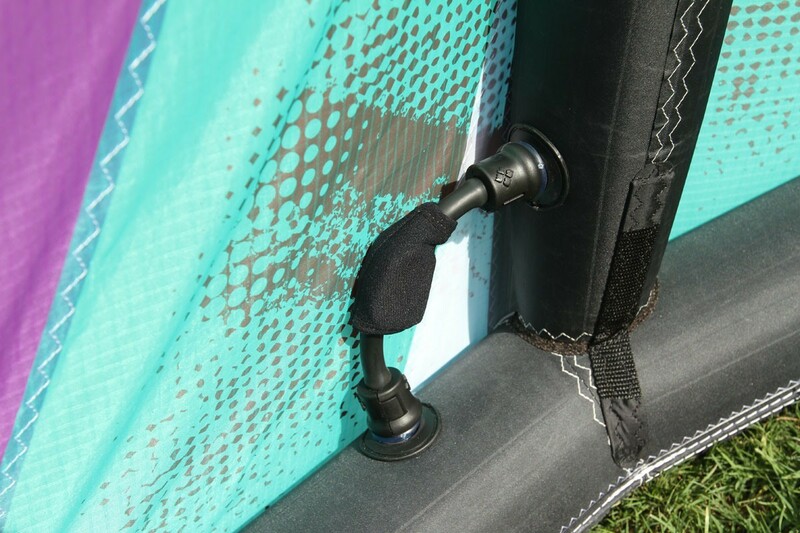 A single, self-adjusting front bridle tow point helps provide the stability, low end power and upwind ability that you need to perform. Every TS is shaped and tuned to deliver incredible crossover performance. 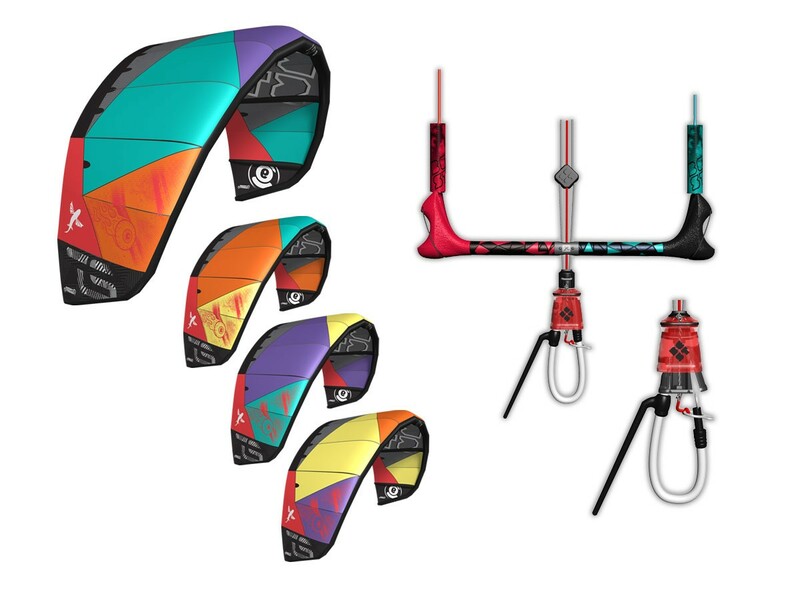 5m-12m sizes are created for unhooked Freestyle and Freeride while the 15m and 17m sizes deliver unbelievable light wind and racing performance. Double Core Rip-stop has twice as many reinforcing fibers woven into the warp and well as standard Ripstop fabrics – giving you twice the performance with no weight penalty. A BEST Exclusive. There are no shortcuts to creating lasting durability; we use the highest quality materials and most advanced construction techniques to build kites that are truly Surf Tough and the match of conditions anywhere in the world. 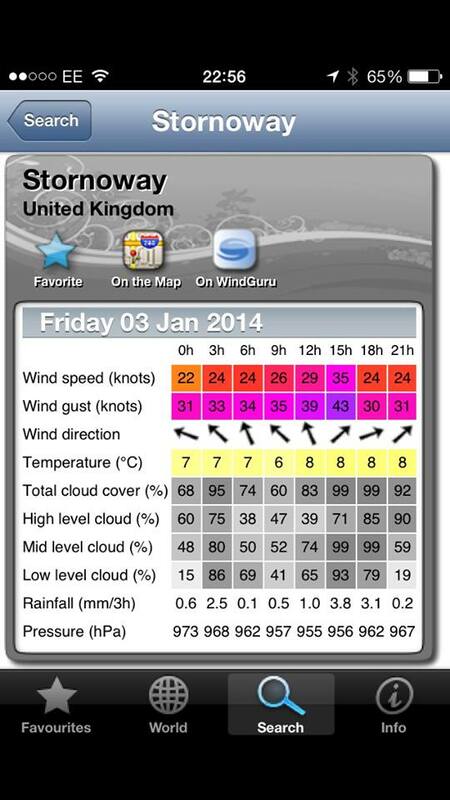 ordered a 6m and an 8m as I hate light wind kiting ….. this should cover me from 18-35 knots.